The BMW 8 Series is making its return. The German automaker's flagship coupe is replacing the now-dead 6 Series coupe, both on and off the track. At this year's Frankfurt Motor Show, BMW revealed the M8 GTE, our closest look at the road-going car we've seen yet. Sure, the Concept 8 was a looker, but it's still a concept. BMW also announced that it would be returning to Le Mans with its first factory-backed car since 2011. 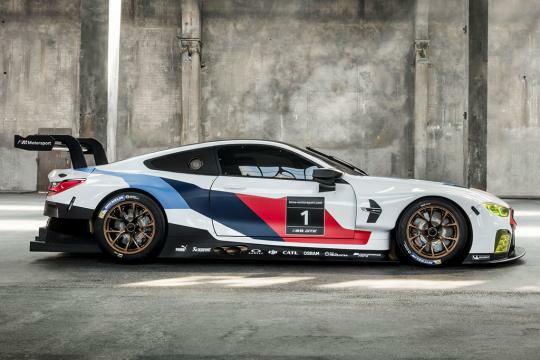 Just like the production car, the M8 GTE will be replacing a variant of the 6 Series, in this case the M6 GT3. 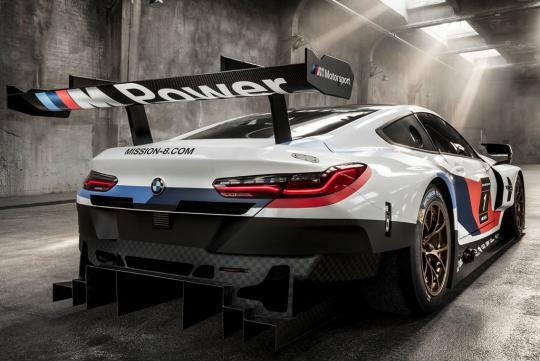 The M8 GTE will go head to head against Ferrari and Aston Martin in the FIA's top-tier GT category. That means big power, a big rear wing and no frills. 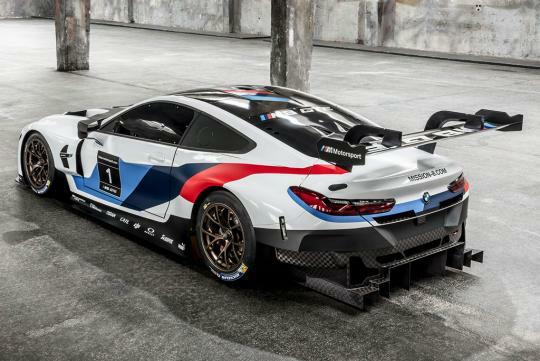 The M8 GTE features some aggressive aero for downforce and lots of carbon fiber to help shave weight. The car weighs just 2,690 pounds (likely dry weight), which is likely more than 1,000 pounds less than the road car. 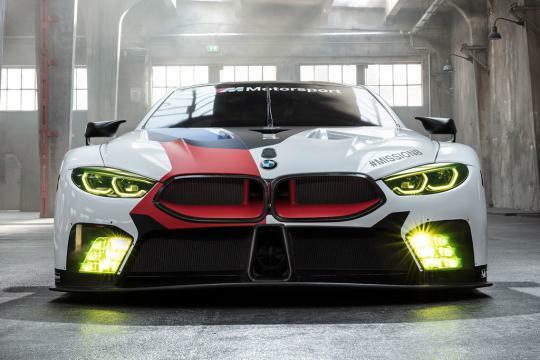 The M8 GTE is powered by a 4.0-liter twin-turbo V8 making about 500 horsepower. Power is sent to the rear wheels through a six-speed sequential transmission. 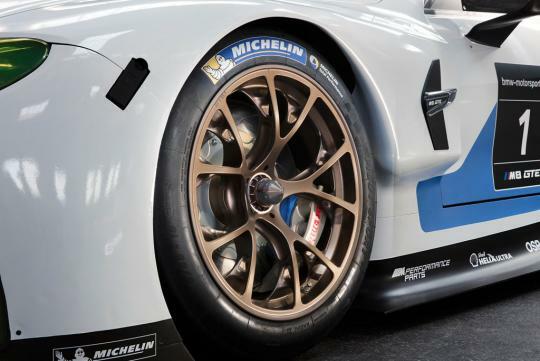 It uses a carbon-fiber clutch, carbon-fiber driveshaft and a limited-slip differential. BMW says the traction control system is being developed using an artificial intelligence. 3D printing will be used to help shorten development times. Due to rules and regulations, power and displacement are likely to be less than those of the road car. 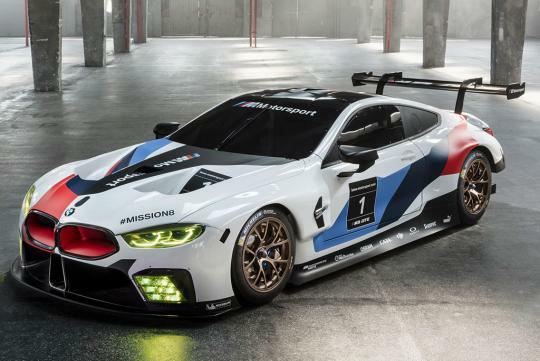 We expect the production M8 to use the twin-turbocharged 4.4-liter V8 from the M5, making 600 horsepower and 553 pound-feet of torque. The road car is likely going to have all-wheel drive. It's also going to use an eight-speed automatic rather than an expensive sequential transmission. 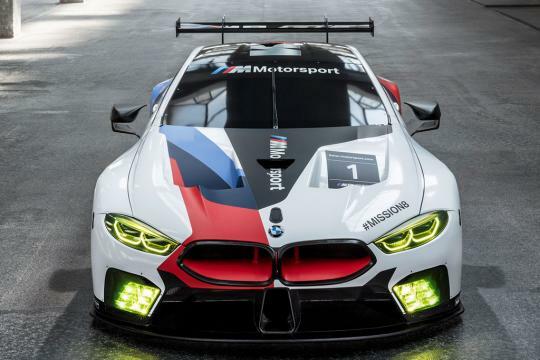 The M8 GTE is set to compete in both the FIA World Endurance Championship and the IMSA WeatherTech SportsCar Championship. We're just hoping to see some cool BMW art cars.